Sep. 12, 2013 4:21 p.m.
On balance, it was a much better day for Canada. In fact, it was that rarest of days in this country — a day in which all three federal parties ignored data on what the Quebec initiative might or might not do to their own aspirations, turned a blind eye to polling numbers in the province, and refused to tiptoe around the separatist Parti Quebecois government. While none could really remain on the sidelines, the equations were different in all three camps. Speaking for the federal Conservatives, Employment Minister Jason Kenney acknowledged that Pauline Marois would like nothing better than a fight with Ottawa on any issue, at any time. So, he gave her one, in a shift in tone from his boss, Stephen Harper, who had appeared reluctant to take the gloves off. Kenney served notice that if this charter becomes law, the government would be prepared to “vigorously” challenge the constitutionality of that law in court. “We are very concerned about any proposal that would discriminate unfairly against people based on their religion, based on their deepest convictions,” Kenney said. The Conservative government is something of an anomaly in the history of this country, a majority government that is not really a player in Quebec. 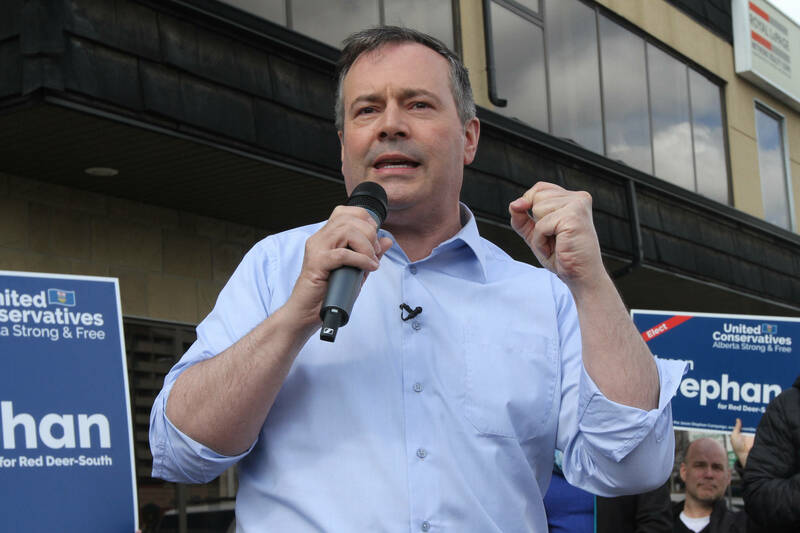 But the party is a major player in multicultural Canada and Kenney, the former immigration minister once dubbed “the minister of curry in a hurry,” likely spent more time with voters wearing turbans, hijabs, kippas and veils than any other politician in the country. That constituency, in the sprawling greater Toronto area suburbs, the Lower Mainland in British Columbia and, yes, Montreal, will again be key to Conservative hopes in 2015. This is a government that may polarize and appear mean-spirited, but it has been largely consistent on human rights abroad, so it could hardly dance around such a situation in its own backyard. Conservatives also know that there may be many among their base, far from urban areas, who would back a Marois move in their own province. The PQ move hearkens back to politics in this country of a generation ago when the founders of the Reform Party, the predecessor of today’s Conservatives, voted to ban turbans in the RCMP. Liberal Leader Justin Trudeau had been the one federal leader who bit on the PQ plan before it was officially unveiled and while campaigning in Montreal on Tuesday, he said Marois does not speak for all Quebecers and does not reflect the values of Quebec. “It’s important to defend people’s freedoms, not restrict them,’’ said Trudeau, who, in leading the third party, likely has the least to lose among the three federal parties in condemning the move. NDP Leader Tom Mulcair, with his huge Quebec caucus — including MPs in regions where the Marois initiative proves popular — had the most to lose in repudiating the PQ plan. So it is to his credit that he delivered the strongest indictment of the day. Despite his strength in Quebec, Mulcair must build outside that province and he had to play to the discomfort this is causing in the rest of Canada. He rightly said that polls based on carefully choreographed leaks may change now that the details have been unveiled, but even if they don’t change, his views will not, Mulcair said. It is a sure bet that one of the three federal parties will ultimately pay an electoral price in Quebec for this speedy repudiation of the charter. It is to the credit of all three of them that they looked beyond that inconvenience and chose human rights over political timidity.